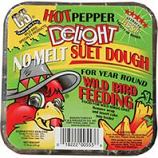 C and S Products Company is the pioneer and undisputed leader in the Wild Bird Suet Market. Founded in 1986, C&S Suet, Squirrel and Wild Bird Feeding products have achieved unprecedented levels of customer loyalty. The companys commitment to quality, unique and innovative products, leads the industry in wildlife acceptance and customer satisfaction. 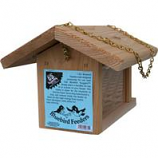 Nutritionally balanced to provide wild birds with much needed energy. 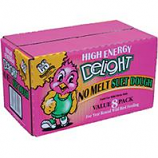 Value pack of 8 cakes. . . .
Only no melt suet product for year round wild bird feeding.. . . . .
No-melt formula means less mess for year round feeding. Ingredients are mixed into a soft dough texture then pressed into a cake form to harden. Easy to use unwrap packaging and place in suet basket. Made in the usa. .
Includes mounting plate ventilation water drainage and predator guard. Easy cleaning access with pivoting door. Heavy-duty brass finish hanging chain included. Size: 11.75in x 9in x 8in high. .